Which girl doesn't like this beautiful Marie from Aristocats? 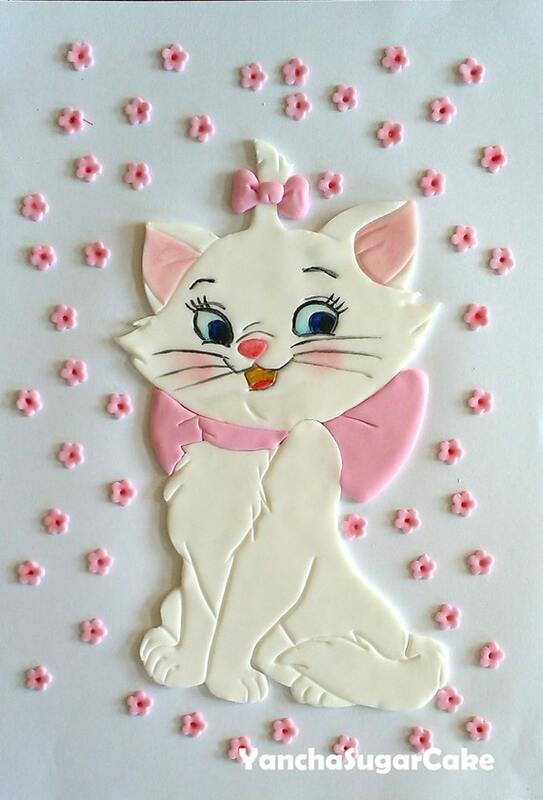 This listing is for fondant 2D Marie aristocats 100% edible about 22 cm (8.7 ") in height. Also include 50 mini fondant flowers. Please don't hesitate to request some changes to your toppers. If you would like them in other color I will be happy to do my best to accommodate your request! If you do not specify any changes in the note's section of your order I will assume you just want the design and colors as shown. You also can choose the flavor of sugarpaste - vanilla, strawberry or banana! Please allow 3-5 days for construction and drying time.